Fords of Blythe Bridge has been named winner at the West Midlands Local Authority Building Control Excellence Awards for a major construction project carried out at a Newcastle school. Fords were lucky enough to be selected to design and build this major school extension and sensory playground which was judged to be the best inclusive building in the west midlands. 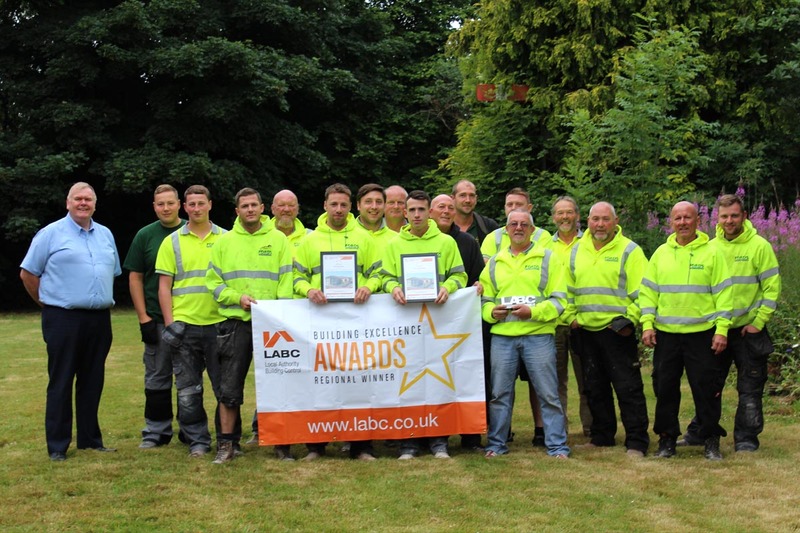 For the second year in succession the company has been named West Midlands winner, recognising the high standard of the company’s design and construction works. The construction company, which specialises in the design and build of educational buildings, won the prestigious award in the “best inclusive building” category for a flagship project undertaken at Merryfields School in Wolstanton. Judges at the award ceremony at the International Conference Centre in Telford were impressed by how the construction works have transformed teaching and learning at the school. Project designers Entrust worked closely with Fords of Blythe Bridge throughout the three-phase project to deliver an award-winning inclusive and accessible design both inside and out. This included a 1200m2 new adventure playground featuring play equipment designed specifically to support the sensory requirements of pupils, which is improving balance, coordination and the ability to learn in the classroom environment. The three-class extension was specifically designed for pupils with special educational needs, and has direct access to outdoor play areas, full height windows to provide a bright teaching environment and connect pupils to the outdoors, and a new library area. The company has now been been put forward for the National finals to be held in London in November, where it will compete against some of the finest and largest scale projects in the country.